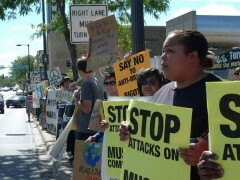 Minneapolis stands up against anti-Muslim bigotry, racism and war | Fight Back! 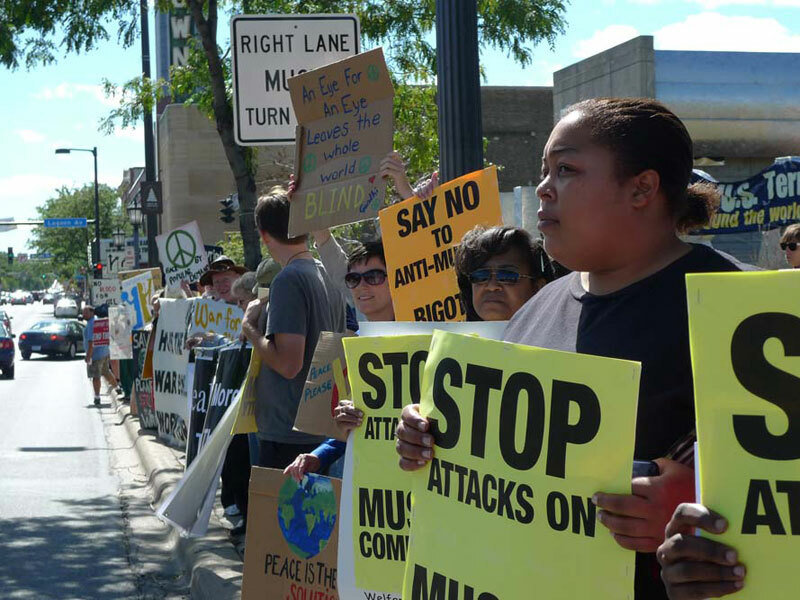 The rally in Minneapolis coincided with protests, speak-outs and other events in cities around the U.S. that called for an end to attacks on the Muslim community. The Saturday event was initiated by the Anti-War Committee and endorsed by Al-Aqsa Institute, Coalition for Palestinian Rights, Freedom Road Socialist Organization, the Minnesota Immigrant Rights Action Committee (MIRAc), Iraq Peace Action Coalition, Iraq Veterans Against the War-MN, Military Families Speak Out-MN, Palestine-Israel Justice Project of the United Methodist Church, RNC 8 Defense Committee, SDS at the U of M, Twin Cities Peace Campaign, Veterans for Peace Chapter 27, the Welfare Rights Committee and Women Against Military Madness.